The performance you get to deliver when in the boxing ring is the result of various factors and depends on many things ranging from your endurance to the techniques you’ve learned and even the boxing bag you’ve used. The equipment you employ for your workouts counts a lot and if you want to renew your gear and be sure you get the right pieces, you might want to check out this post. 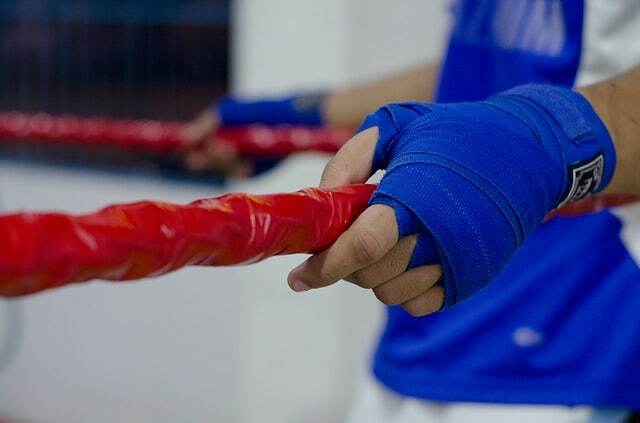 The hand wraps you use are an important part of your boxing equipment. Actually, they are a must if you want to protect your hands and box safely. Using quality wraps is not enough, though. You need to wrap them properly in order for them to fulfill their purpose and protect your tendons and muscles. 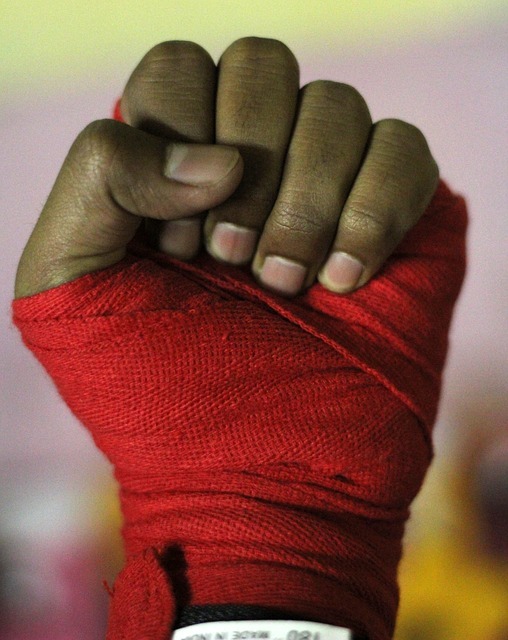 If you’re new to this and don’t know how to wrap your hands for boxing, this post will help you do that through simple steps. First things first: what wraps to use? Before getting to the how-to part, you need to make sure that you use the right wraps. You will find wraps of different types such as cotton wraps that are ideal for frequent training, Mexican wraps that are similar to cotton wraps just that they feature elastic fibers for a more comfortable fit, gel wraps, and competition wraps. For your day-to-day training, you might want to consider cotton wraps with Velcro at the end as they will provide you with the protection you need and a secure fit. However, it is best to try them out and see which model suits you best. Also, choose the right size to make sure they will stay on your hands and provide you with a comfortable and secure fit. You can also choose the right wraps for your needs by trying them for a while. This way you will see how much tension they provide. Keep in mind that wraps should provide your hand and wrist with stability, which means they have to be taut. Still, they should not be too tight as they can affect your circulation. You will have to try the wraps a few times to find the right and safe tension. Also, make sure the wraps you use have no wrinkles or lumps that could get uncomfortable and thus affect the protection you need to box without getting hurt. Once you’ve chosen the wrap type you like, you will have to practice a bit before you get them on your hands properly. All the steps mentioned below play an important role; therefore, try to follow them faithfully to enjoy the protection you want. Start by stretching your hand out and spreading your fingers. Doing so is mandatory since the wraps will support your hands while they’re moving. The wrap should be exposed to the range of movements employed during boxing training or the fighting itself. The hand wrap should have a hole at one end and a Velcro strap at the other end. Place the thumb through this hole with the underside of the wrap against the hand. Some wraps come with a label that will highlight which side should be used against your hand. After you’ve figured that out and you’ve placed the finger through the hole, you can start wrapping your wrist. It is highly important to keep your wrist right in order for the wrap to stabilize it. The stability you want to enjoy and the size of your wrist will decide how many times you wind the wrap around the wrist. Once you’ve wrapped the wrist properly, you can continue with your hand by pulling the wrap around the back of it and across the palm until you reach the other side. Make sure it covers the area above your thumb. Usually, the hand is wrapped like this three times and the wrap should finally be placed on the inside of the hand and near the thumb. After you’ve wrapped your wrist and hand as described above, you will have to wrap your wrist once more ending with the wrap near the thumb so you can wind it from the lower side of the thumb toward the top and then back to the lower side, otherwise known as the bottom of the thumb. Wrap the wrist one more time. To wrap your fingers, you will have to start at the inside of the wrist and wind the wrap from there over the superior part of your hand between the ring and the pinky finger. Then do the same and wind it from the inside of the wrist over the upper part of your hand and between the next two fingers until you cover all the areas between the fingers. Once you’ve wrapped all of them, you will have to wrap the wrist and the hand again. Make sure to wrap the inside of your wrist and continue diagonally to the outside of your hand covering the area above the thumb. The length of your wrap will decide how many times you will do so as you will have to wrap until its length has been used. Just leave some of it to wrap your wrist once more at the end. Use the Velcro end to secure your wrap. Try to flex your hand and even practice a few punches to see if the fit is comfortable and secure. In case it feels too tight or loose, you will have to wrap it again until you find a fit that delivers both comfort and protection. Wrapping your hands might be a bit challenging at first but practice makes perfect and you will get the hang of it after a few wrapping sessions. Using hand wraps is of paramount importance. Without them, you risk getting injuries that will stop you from fighting. Therefore, better safe than sorry.